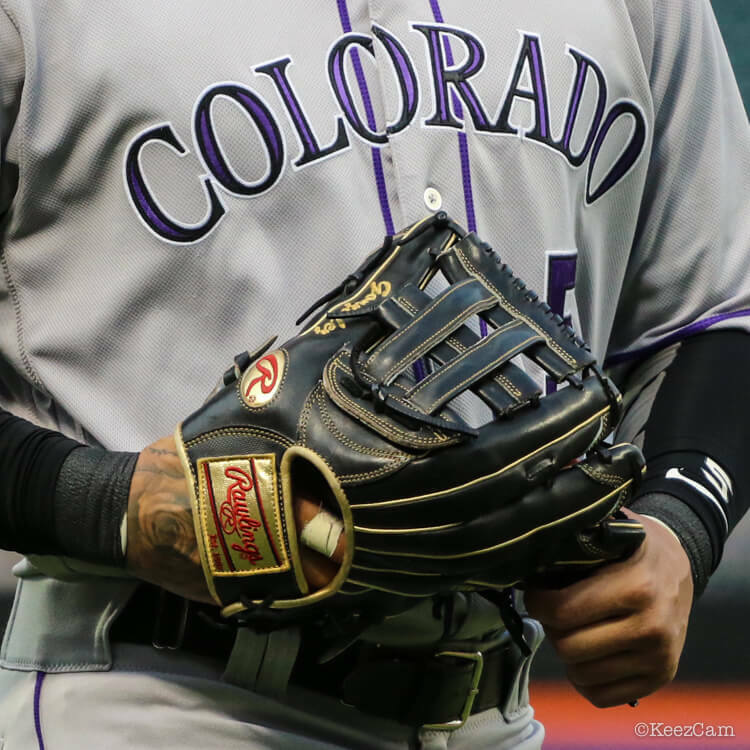 Cargo has officially GAMED a Rawlings glove, and his five-year love affair with the Nike Vapor 360 is over. This Rawlings does seem to incorporate some synthetic material (like the Vapor 360), or at least it looks that way, on the wrist and pinky. This is a unique material that we’ve never seen before. The leather pieces are made of Rawlings’ finest Japanese Heart of the Hide leather. This is a player exclusive, which includes Cargo’s gold labels, though there is a similar Gold Glove H-Web that is worth a long look if you’ve got “deep pockets” (glove pun). Shop at the link. 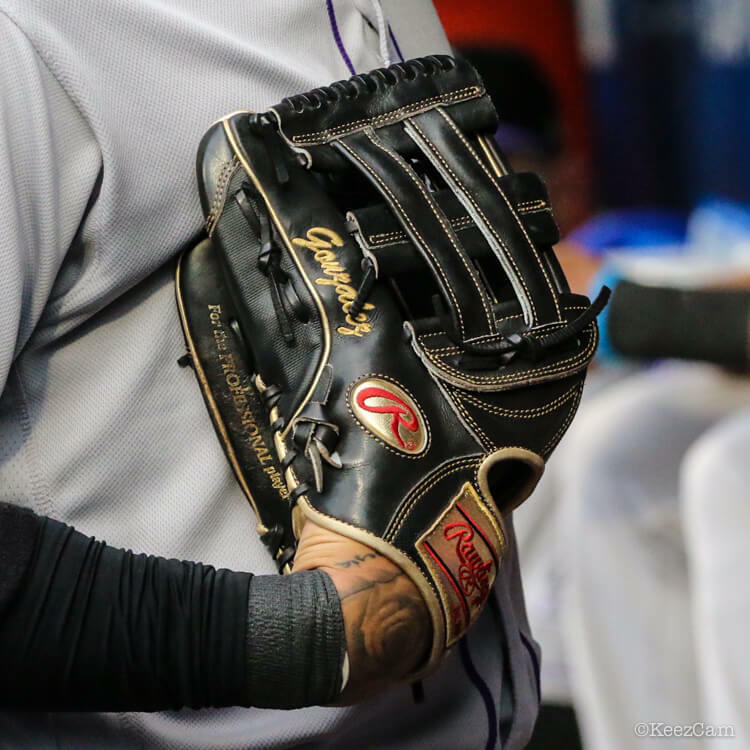 Categories: Gear, Outfield, Glove, Colorado Rockies, Carlos Gonzalez.